We are disc golfers. When we're not in the shop, we're out on the course. 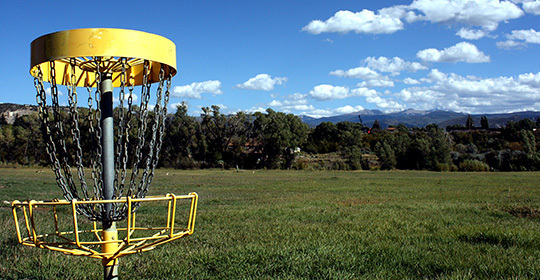 We can't think of anything better than fresh air in our lungs and a bag full of discs on our back. We never take ourselves too seriously, and we aim to reflect that in our gear. Our love of the sport and its community is what drives us to produce top quality products for our fellow golfers. 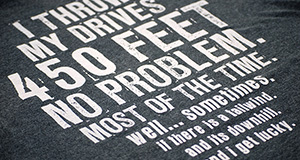 We've got some great new shirts in our store! 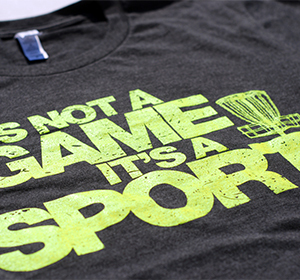 'It's Not a Game, It's a Sport' T-shirts are now available in 4 different colors - Heather grey with dayglo yellow, heather grey with dayglo orange, green with black/grey, and heather raspberry with white. Also available, our 20oz red, black, blue and green 'anodized look' aluminum water bottles, BPA free with a black twist cap, will fit in any standard bag bottle holder. 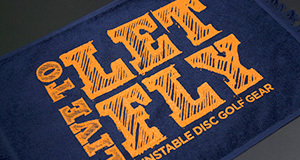 Unstable Disc Golf Gear will be bringing you the first ever Unstable Open - part of the Greater Joliet Tour Series! Highland Park in Joliet Illinois will be the course of choice in this event. We will be on site running the tournament as well as displaying a full range of apparel and accessories. 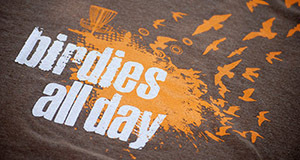 Sign ups start mid-April on Disc Golf Scene, so be sure to sign up before it fills! See you there! LET US KNOW AND WE MIGHT JUST PRINT YOUR STUFF! Do you have an idea for a print you'd like to see in production? We're always looking for great new designs and we'd love to have yours be next! Shoot us an email with your idea and if its something we'd like to print or engrave, we'll send you free merch printed with your design in multiple colors! 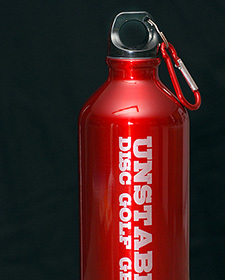 All Content and Merchandise © 2014 Top Secret Studios & Unstable Disc Golf Gear, All Rights Reserved.